Hot on the heels of the HTC M7/HTC One bandwagon comes word of the HTC G2 which could be the Taiwanese firm's next budget blower. The folks over at Phone Arena have been sent a screenshot of what is apparently the Sense 5.0 overlay for Android running on the HTC G2's 320x480 display. In terms of design the Sense 5.0 styling appears to be very similar to the screenshots we've seen previously on what it being claimed is the HTC One, which adds a bit more weight to this particular leak. Rumours suggest that the HTC G2 will sport a 1GHz single-core processor, 3.5-inch display and we'd hope a suitably entry level price tag as well. HTC has a special event lined up on February 19 where it will unveil its next flagship smartphone, thought to be called the HTC One, and there's a chance we could see the G2 pop up there too. Otherwise HTC's presence at MWC 2013 in Barcelona at the end of the month would provide another suitable platform for the firm to announce the low-end handset. 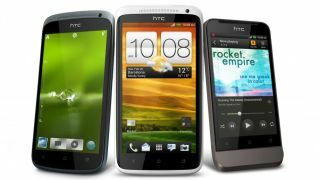 We don't expect HTC to stick with the G2 name as it's already been used for the G2 Touch - better known as the HTC Hero.